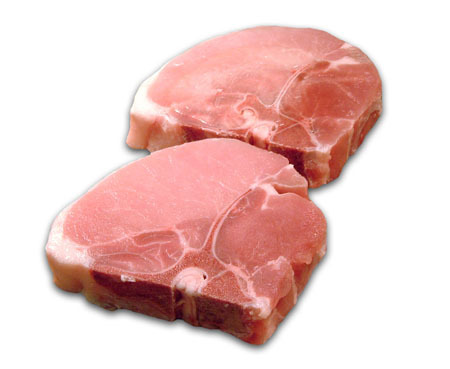 About darn time for the FDA to lower their safe-cooking guidelines for lean pork chops. No more 160° hockey pucks. It’s now a recommended an internal temp of 145°, kids! That means take your pork off the heat at 140° and let it for three minutes. Pinky porky chops for all!